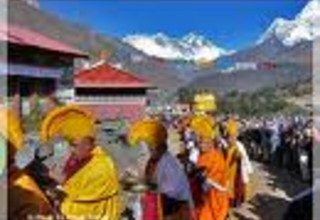 Mani Rimdu Festival is a three-day affair on October's full moon which is carried out in the high elevation in the monastery of Tengboche in the Everest region. Every year, a Buddhist Dance Drama is performed by the monks of Tengboche Monastery, the most sacred monastery of Everest region. 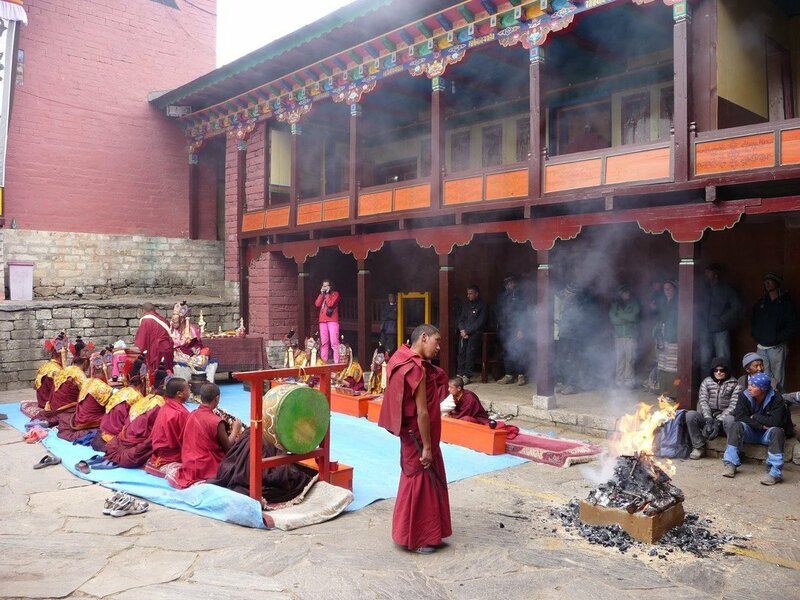 Sherpas and cultural enthusiasts from all over the world flock into the monastery during Mani Rimdu Festival to celebrate Buddhism and also to understand the culture. Enjoying the masked dances with a panoramic view of Mt. 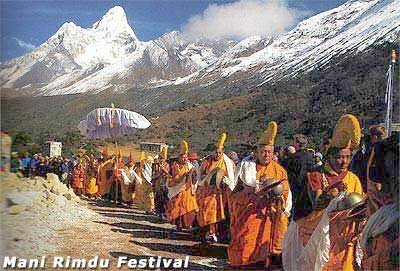 Everest (8848m), Lhotse (8516m), Nuptse (7855m), Ama Dablam (6812m), Kongde Himal (6200m), and Thamserku (6430m) makes Mani Rimdu Festival Trek a satiating journey. 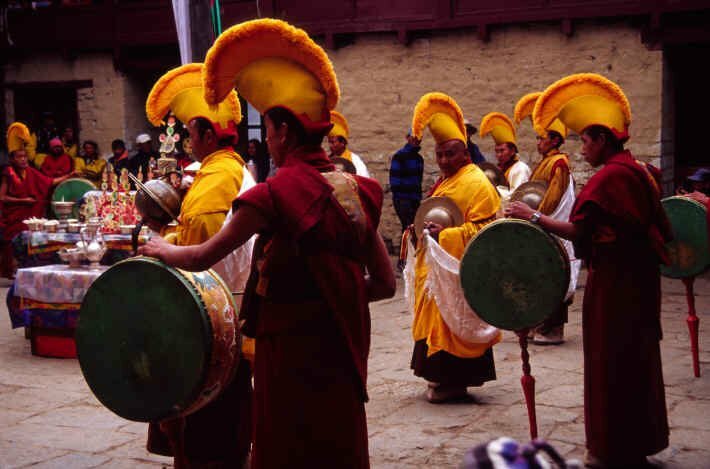 Mani Rimdu Festival Trek starts from the capital city after you arrive in the international airport and fly to Lukla. 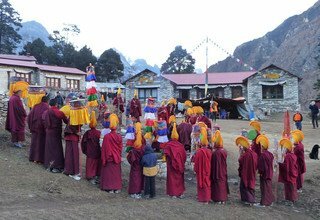 Lukla features one of the most thrilling airports to land on. 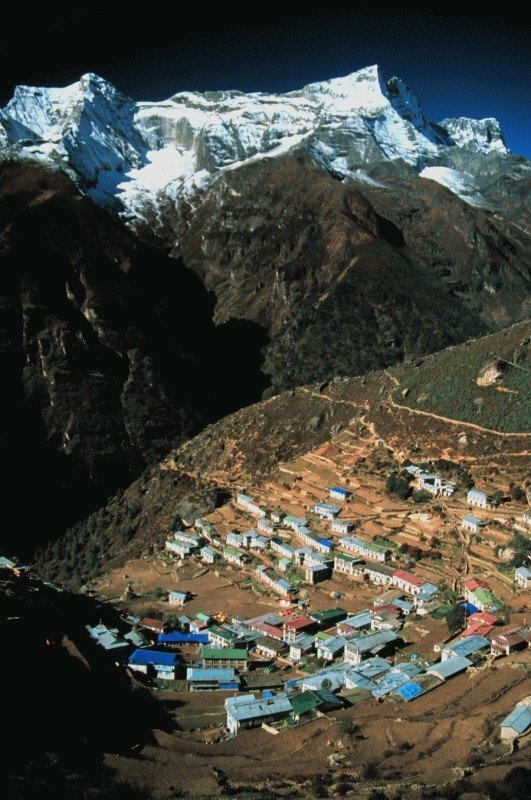 Trekking through Phakding, the trail reaches Namche Bazaar, the commercial hub for locals and trekkers. 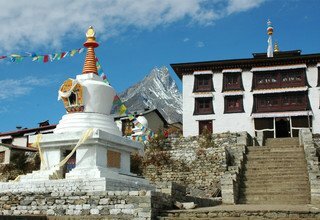 As an acclimatization hike, you visit Khumjung village and get to have a look at the Skull of Yeti inside the Monastery. 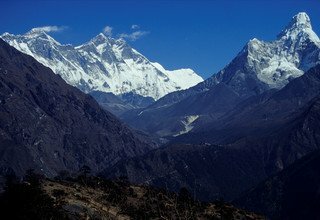 Khumjung is also one of the larger Sherpa villages in the Everest region. 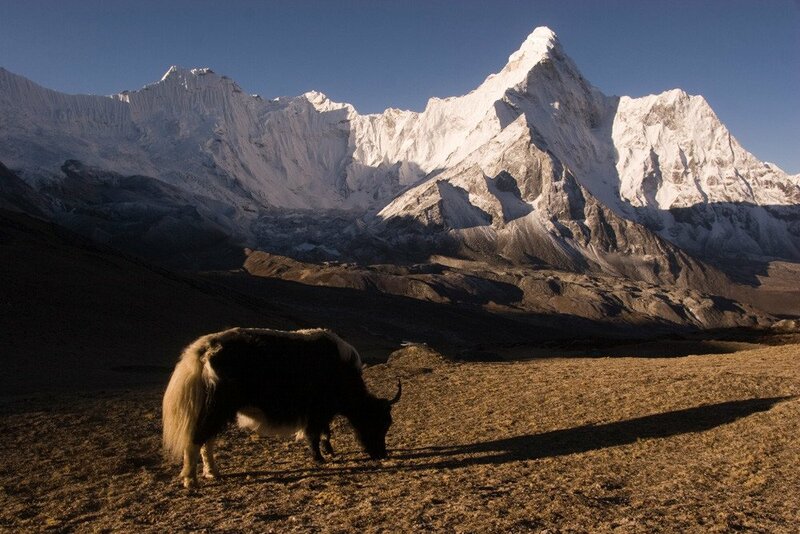 You then trek towards your destination, that is, Tengboche village. 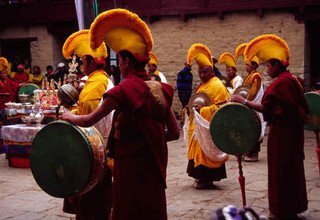 In Tengboche, you will enjoy three days of Mani Rimdu Festival, each day equally important and equally vivid. 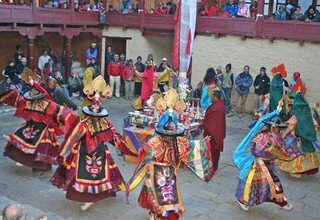 The preparations of the festival include The Sand Mandala, The Empowerment, The Fire Puja, and Mask Dance. 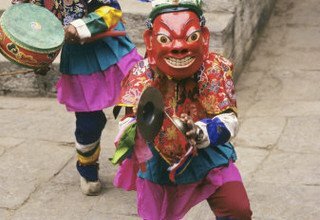 It is an out of this world experience to watch the monks of Tengboche Monastery perform the masked dance to the deities of Buddhism. 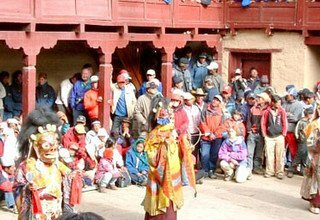 Originated from Tibet's Rongbuk Monastery, on the northern side of Mount Everest, Mani Rimdu portrays the victory of Buddhism over the earlier Bon religion. 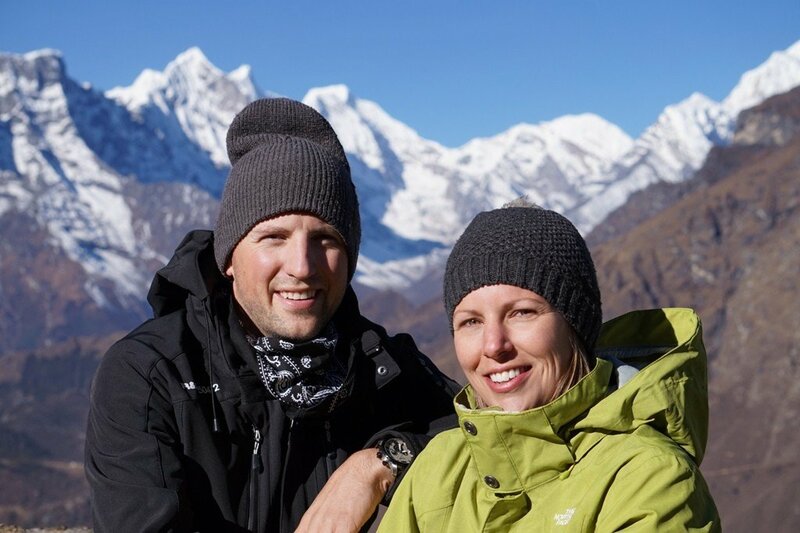 After such wonderful experience, we retrace our way back to Namche Bazaar and then to Lukla. Swiss Family Treks and Expedition understands your hunger to grasp the beauties in the Himalayan country hence offering you Mani Rimdu Festival Trekking. 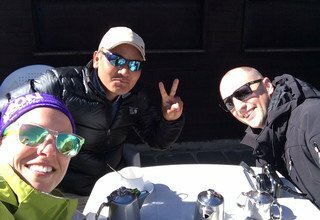 For this specific trek, we provide you with English speaking guide who is a local of the Everest region and has ample knowledge about the festival to make sure none of your queries go unanswered. 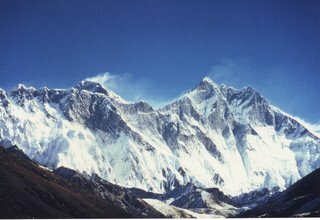 We also provide you with the best accommodation services available during the trek. Kindly, note that you should check-in for all the domestic flights at least one hour prior to the flight schedule, and also understand that the flights are subject to delay. 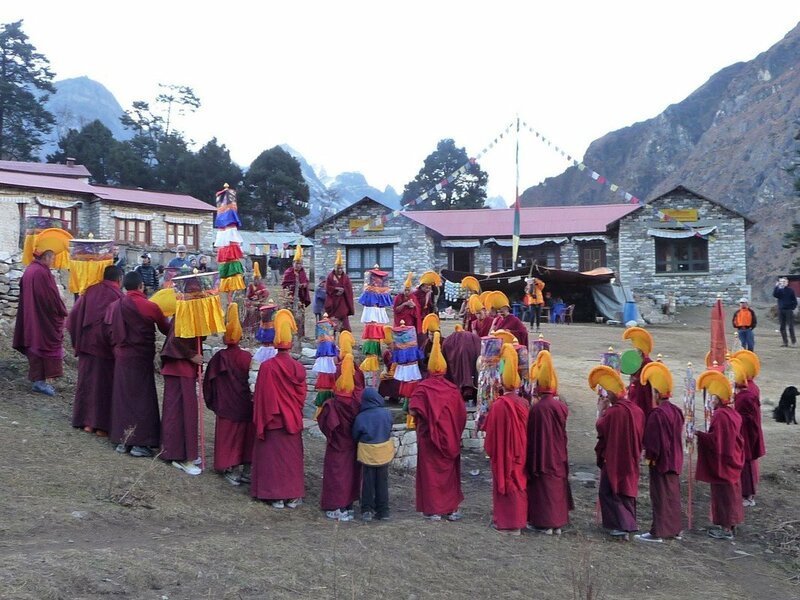 Booking open now: Join with us on a Mani Rimdu Festival at Tengboche Monastery in 2019. After breakfast, we drive to the domestic terminal of Tribhuvan International Airport for our flight to Lukla. The flight is of 40 minutes from which magnificent lush hills and snowcapped peaks can be seen. We arrive at Tenzing-Hillary Airport in Lukla. This is one of the most dangerous airports in the world. 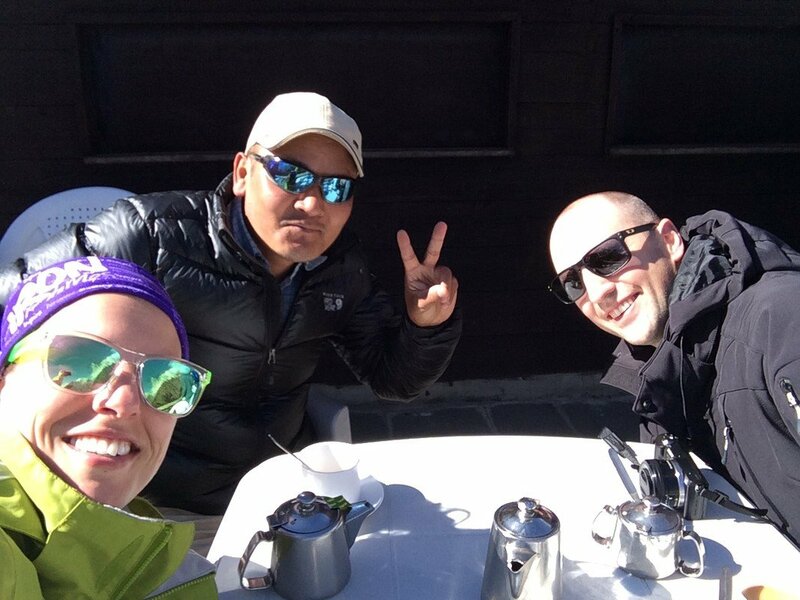 In Lukla, we will meet the rest of our staff members and start the amazing trek to Phakding. Just to acclimatize, we do a short walk today. Overnight in Phakding. We start walking through the thick forest of pine and oak alongside Dudh Koshi River. After moving further, we start to get the glimpses of Mt Thamserku (6623m) on our right side. Continue through the pine, fir and juniper forests, cross suspension bridges, and finally reach Namche Bazaar, a commercial center of the Everest region. Also known as the Gateway to Everest, Namche Bazaar hosts a stunning panorama of Mt Everest (8848m). Overnight in Namche Bazaar. 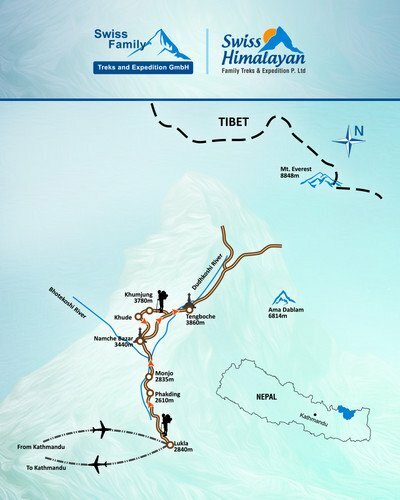 Today, we ascend to Everest View Hotel for an amazing 360-degree view of the snowy peaks. 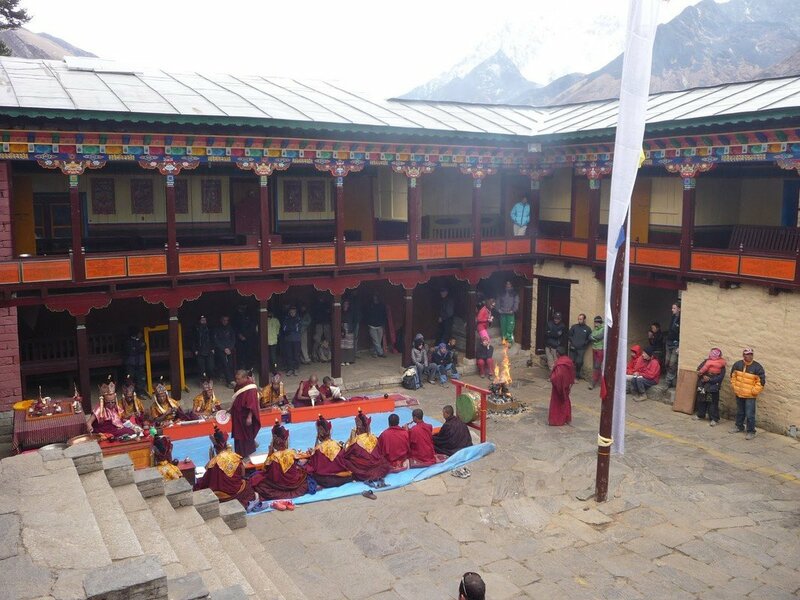 Then, we descend to Khumjung village to visit the monastery and Khumjung (Hillary) School. Inside Khumjung Monastery, you can have a look at the Skull of the Yeti. 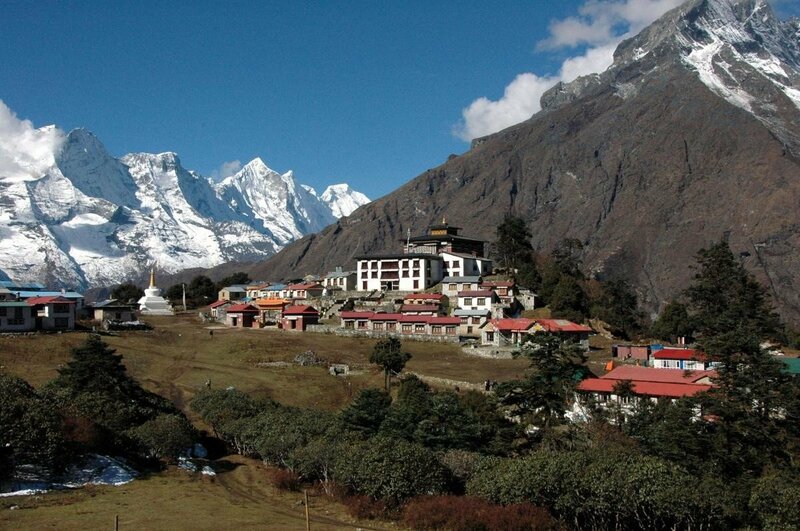 Khumjung is also one of the larger Sherpa villages in this region. We continue to walk to Khunde village and visit the old monastery and Khunde Hospital there. 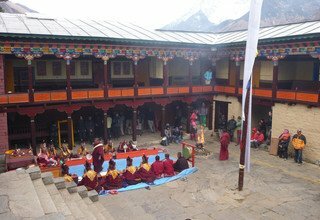 We return to our lodge in Namche via Syangboche village. Overnight in Lodge. The trail ascends till Kyangjuma village and then it descends to the suspension bridge over Dudh Koshi River. 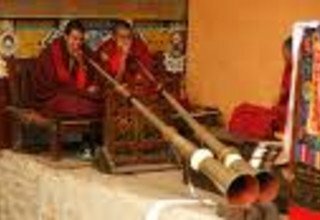 We can see a chain of attractive water driven prayer wheels. Then, we will stop to have lunch in Phunke Tenga. The ascending trail alongside Imja Khola leads us to Tengboche village. 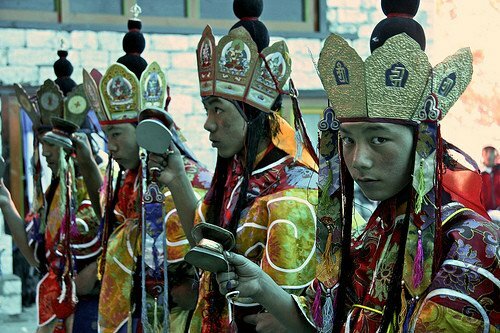 We can visit the ancient monastery of Tengboche in the evening. Witness the amazing views of the snowy peaks, sunrise/sunset in the morning and evening is a surreal view. Overnight in Lodge. 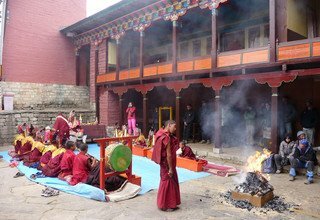 The first day of Mani Rimdu Festival is marked by the construction of Sand Mandala and Wong. Colored sand is used to build complex and representative design. The sharp defensive weapons referring to the divinities are kept surrounding the Mandala. The container of Mani Rilwu pills which is regarded as spiritual medicine is placed in the center. 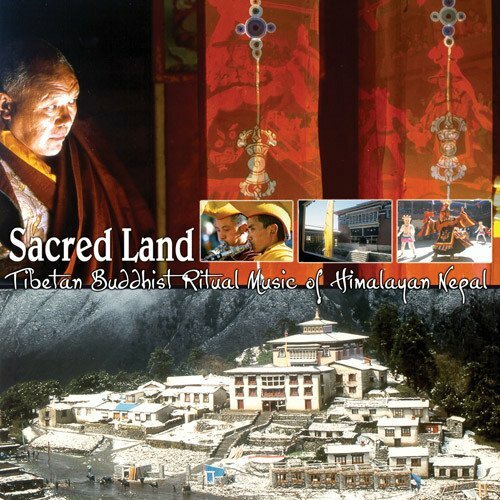 The Mandala symbolizes the palace of the lord of dance, Chenpo. The statue of the Buddha of Kindness is the most important for Mani Rimdu. 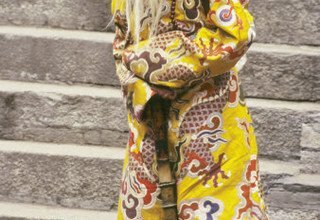 The mantras are chanted, and during meditation, they believe kindness flows in the form of the mantra, into the Mandala and the Mani Rilwu pills. 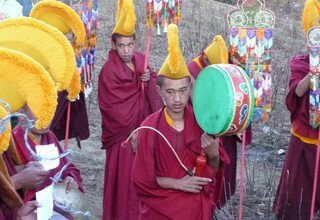 Kindness is released out from the Mandala, blessing those who attend the Mani Rimdu festival. The dances are shown on the 2nd day of Mani Rimdu. 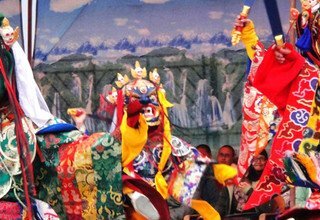 Triumph over the symbolic demons is shown in the dance. 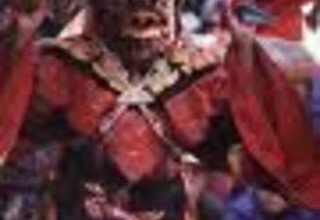 As the theme of the dance, positive energies fight with the demons through the dances. 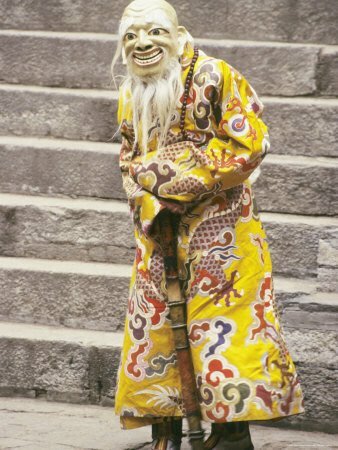 The dances carry Buddhist teaching on many levels from the simplest to the most metaphysical state. 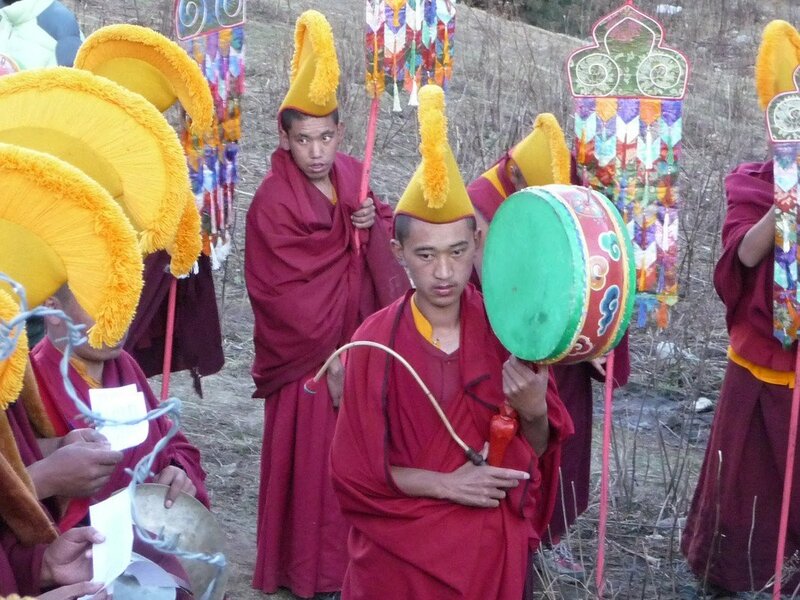 During the dance, the monks are believed to enter a state of trance and become a godlike being. 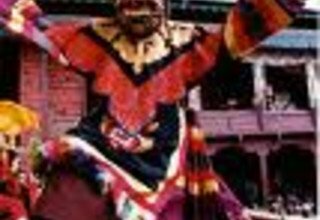 The dances are only performed during Mani Rimdu because they are considered to be very sacred hence cannot be performed for ordinary entertainment purposes. 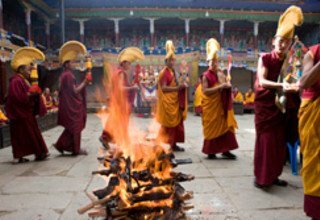 The last day of the festival is the Fire Puja. The Fire Puja is done in the yard the day after the dances. The Fire Puja is a gift to Agni (the god of fire), and to the Gods of the Mandala to dispel all harm in the world. The harm is envisioned as dissolving into the grain and butter being burned. Afterward, the sand Mandala in the temple is dismantled to pieces, and the sand is given as an offering to the Snake Gods (Nagas). With this, the exciting festival of Mani Rimdu comes to an end. The trail from Tengboche is downward with a few sharp climbs uphill for an hour from the bridge at Phunke Tenga, near to Sanasha. The walk to Namche is very charming on a long windy track. 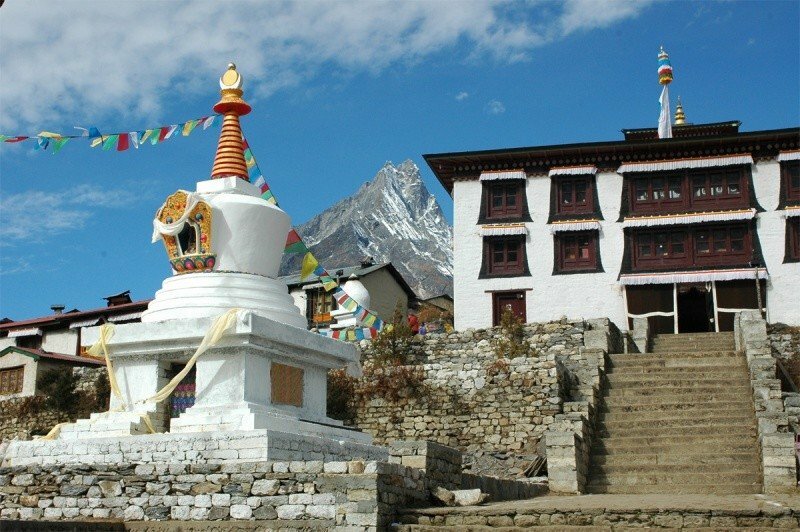 Passing through the traditional villages of Khumjung and Khunde, an attractive and pleasant walk leads us to Namche for the overnight stay. 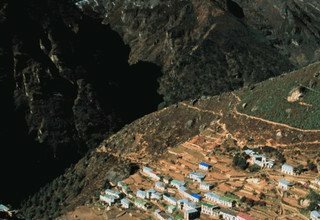 Leave Namche Bazaar and descend through pine trees. We arrive at the confluence of Bhote Koshi River and Imja River at Larja Dobhan. Then, following Bhote Koshi River downstream we reach Jorsalle to exit Sagarmatha National Park. Still walking by Bhote Koshi River past several Sherpa villages and through rhododendron and magnolia forest, we arrive in Lukla. Overnight in Lodge. On the picturesque 40 minutes flight back to Kathmandu, you’ll relive a last sight of the snowy peaks. 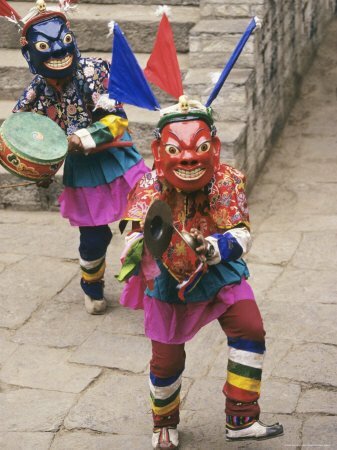 Upon arrival in Kathmandu, you will be transferred back to the hotel. Overnight at a 3-star hotel. We shall drop you at the airport before the scheduled time of your departure. Farewell, and we hope to see you again! 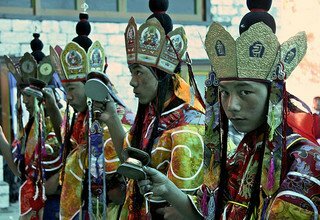 Booking open now: Join with us on a Mani Rimdu Festival at Tengboche Monastery in 2019/2020. * 2 nights accommodation in twin bed sharing basis with breakfast at 3* hotel in Kathmandu. 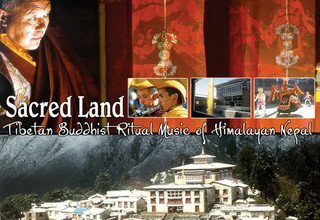 * Round Trip flight ticket from KTM-LUKLA-KTM and airport tax. * Any costs which arise due to a change of the itinerary, because of landslides, domestic flight delays, political disturbance and strikes etc.